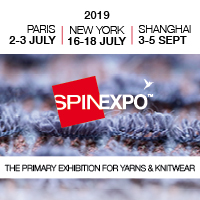 A.Monforts Textilmaschinen will be participating at Shanghaitex in Shanghai, June 12 – 15 as part of the German Engineering Federation (VDMA), highlighting its energy saving solutions in textiles dyeing and finishing. These will include its integrated heat recovery modules and exhaust air cleaning units to reduce energy consumption and clean the exhaust air of thermo finishing ranges. Where space may be a premium Monforts has introduced a ‘stand alone’ Energy Tower for retrofitting to existing stenters or hotflues with restricted access above the units. Energy Towers have been designed to be positioned alongside the stenter or hotflue and feature five integrated heat recovery modules. Capitalising on the high temperature of the exhaust air, savings of up to 30% in energy costs can be achieved, the company says. Monforts will also give emphasis to its latest Montex TT stenter for technical textiles featuring a specially developed nozzle system for coating applications as well as outstanding maintenance features. Using secure internet links with the latest software reverse proxy technology, together with the installation of a web cam and headphones, allows a real two-way conversation through secure firewalls between the operator and the Monforts engineer. This allows the operator to go to the part of the machine experiencing the problem allowing on-site diagnosis and dialogue. Direct access to Monforts on-line internet system offers the advantage of same time zones for the Service Manager ensuring faster response times.New software updates can be easily downloaded.